Oswego, N.Y. - The world famous Entergy Nuclear Harborfest Fireworks by Grucci of New York will be Saturday, July 30 at approximately 9:30 PM. For the 24th consecutive year, the Saturday night fireworks spectacular will highlight the annual admission-free music festival on the shores of southeast Lake Ontario. "The Entergy Nuclear Fireworks by Grucci of New York has always been and will continue to be the showcase event of Harborfest," said Harborfest Executive Director Tom Van Schaack. "Everyone involved with Harborfest is extremely grateful to Entergy Nuclear for their continued support of this community event." The nearly half-hour Entergy Nuclear Fireworks Spectacular is the only world-class fireworks exhibition in upstate New York and demonstrates the highest level of pyrotechnic artistry as thousand of shells and "ground effects" are choreographed to a carefully selected music track. Produced by Fireworks by Grucci of New York, the Entergy Nuclear Fireworks Spectacular is a very special event that draws an estimated audience of more than 75,000 people to the southeastern shores of Lake Ontario each year. "On behalf of the 15,000 Entergy employees within our company and especially the 630 employees at FitzPatrick, we&apos;re proud to once again sponsor the world-class fireworks display that decorates the sky over the Oswego harbor," said Entergy Nuclear&apos;s James A. FitzPatrick Nuclear Station Site Vice President Kevin Bronson. "The sponsorship of this event and our continued support of Harborfest provide us an opportunity to give back to our community. FitzPatrick employees volunteer throughout Harborfest weekend, providing logistical support to the festival as well as staffing the Entergy tent that offers free fun and educational activities for families." John Scardella, President of the Board of Directors for Harborfest, recognizes and appreciates the important impact that Entergy&apos;s participation has on Harborfest. "We are very fortunate to receive the high level of support and commitment that the management and employees of the James A. FitzPatrick Nuclear Power Plant has provided to Harborfest over these many years. Entergy Nuclear employees have given thousands of hours of their time and talents to Harborfest as valued volunteers and we can&apos;t thank them enough. From the beginning they have helped Harborfest by assisting in festival set up, electrical installations, fireworks barge set up and tear-down as well as staffing the activities tent," said Scardella. Fireworks by Grucci&apos;s of New York is an award winning Long Island Based company known for its complex and exciting shows. In addition to Harborfest they have produced fireworks displays for six presidential inaugurations, the Statue of Liberty Centennial, the Brooklyn Bridge Centennial, The Lake Placid Olympic Games, the Los Angeles Olympic Games, the Salt Lake City Olympic Games, the Olympic Games in Greece and several world fairs. Harborfest 2011 is scheduled for July 28-31 and will feature plenty of food, fun and entertainment as venues on both Oswego&apos;s east and west sides will be used to deliver the excitement. A wide variety of entertainment will be featured on stages throughout the city of Oswego including, the Novelis Family Park at East Park, East Park&apos;s Jazz & Blues Stage, the Veteran&apos;s Stage in Riverwalk West, and the NRG Lakeview Stage in Breitbeck Park. 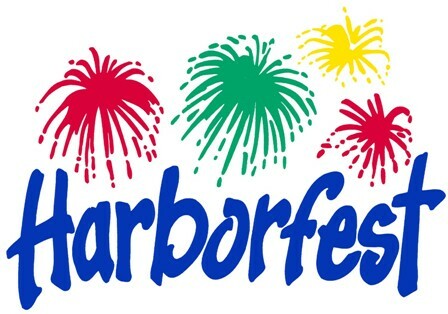 Visit the Harborfest website at www.oswegoharborfest.com for the latest information on this year&apos;s festival.